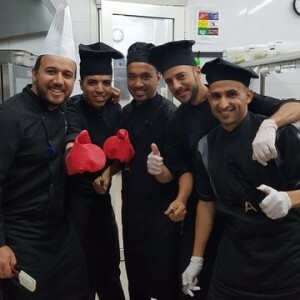 At Amouage we love our ‘family-style’ meals. For us, there’s nothing better than everyone gathered around the table, chatting about their day’s surfing and having fun tucking into delicious food. Our guests love indulging into our fresh, homemade and nutritious meals that even we can’t resist! But to create this vibe, there’s a little magic that goes on behind the scenes, especially in our kitchen. Our talented chefs have been hidden away over hot stoves, working on refreshing and developing our Amouage menu to make sure it’s the best food in town. And in our opinion, we think we’ve got there. Their main goal was to add more variety and make sure that everybody was catered for, including every special diet! 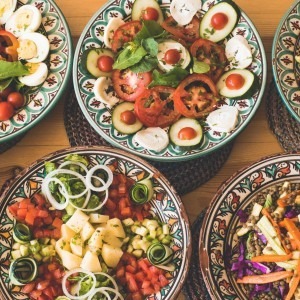 Including vegan dips, homemade gluten-free bread and dairy-free cakes, they’ve excelled themselves to make sure every guest can get their fill. While devouring a slice of freshly made gluten-free peanut, banana and chocolate bread, we had a little chat with the chefs making foodie dreams come true! – I started cooking when I was a kid with my mum as I used to help her a lot in the kitchen. Since then I fell in love with cooking and I love everything about it! Fancy trying the food for yourself? Book your holiday at Amouage here to indulge!